The 5th Edition of FWUK was held @ Warwick University, another great show to attend, we have supported this show from inception and exhibited again this year! This years event was held in the Physics Department of Warwick University. SYNCHRO ERP's Simon Adlington ( Senior Global Implementation Manager) and Bianca Catherall ( Marketing Project Manager) attended the event. 16 exhibitors attended the two day workshop organised by the Cast Metal Diecasting Times and supported by FESA (Foundry Equipment Supplies Association). Numerous papers were taken and 45 delegates attended - it is the only event of its kind in the UK. Busy start to the day. 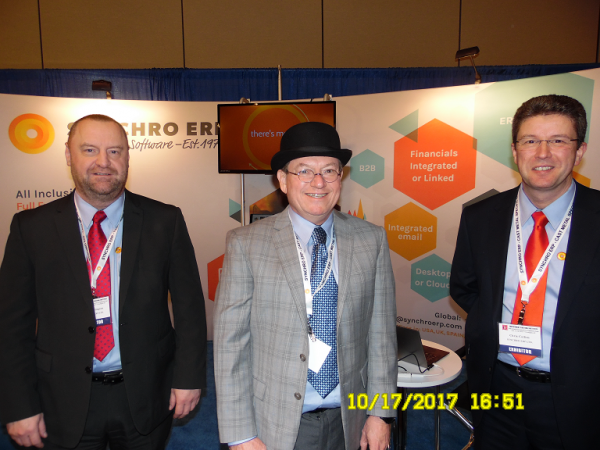 Investment casters spanning the globe recently crossed paths on the banks of the Ohio River in the fair city of Covington Kentucky USA for the 2017 edition of the 64th Technical Conference and Equipment Exposition.